IRAN in Central Asia (although some refer to IRAN as part of the Middle East) has a population of about 79 millions people (05/2007), stretches on 1,648,000 km and is on the eastern border of the Arab world. IRAN has a tradition of thousands years, most of the time, as a local superpower in adversary with whoever is in control of Mesopotamia (today’s Iraq and East Syria) and the Middle East. Even the conquest of Islam and the Islamization of IRAN did not change the singularity of IRAN. IRAN kept its language, its own Islamic version ‘Shiaa’ and its own national pride. Only 51% of the population are Persian, the rest are 24% Azeris in the North West, close to the Turks and many other nations like Kurds, Arabs, and others. More than 75% are Shiites, about 20% Sunnites and the rest Zoroastrian, Jews, Christian and other sects. Ayatollah Humeini saw the influence of the Western culture and mainly that of USA, the “Big Satan”, as undermining the Islam and the main reason for the backwardness of the Muslim world. Ayatollah Humeini also looked for conciliation between Sunnites and Shiites in order to create a united Islamic world. The mission of IRAN, in Humeini s’ point of view, was to export, through the Revolutionary Guard, the successful Islamic revolution in IRAN, against pro American corrupted regime, to other Islamic nations. Indeed the Islamic revolution in IRAN and Ayatollah Humeini arouse a pan Islamic awakening all over the Muslim and Arab world that adopted a more militant approach toward their society and regimes. That Islamic awakening led to bloodshed in many places in the Middle East, in countries like Syria, Egypt and Lebanon. 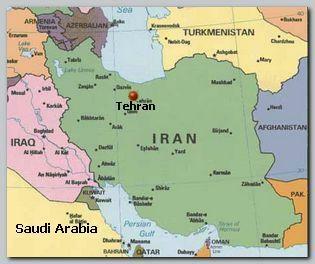 The Islamic revolution in IRAN was a prologue to the Islamic Global Jihad, later consolidated in Afghanistan. In an ironic turn in history, the orthodox Sunnite version of Islam preached in Saudi Arabia and adopted by Al Qaeda, the “Wahhabism”, refers to the Shiites as infidels, worst than the Jews. The Al Qaeda version of Global Jihad split the Muslim World and today the two versions of Islam, Sunnite and Shiite, are fighting each other in Iraq and the Middle East. IRAN, no doubt, provoked the early stage of Global Jihad but also renewed the bitter struggle between Sunna and Shiaa in Islam.